Eurolanche fan club did interview with the Avalance forward David Jones. 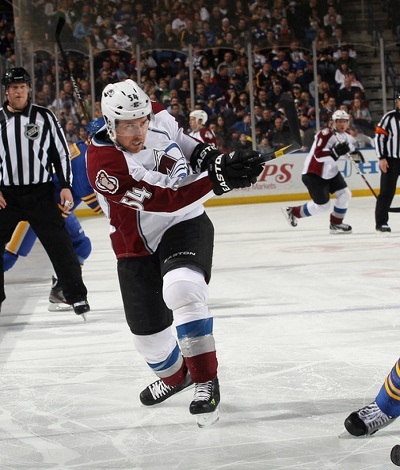 David Jones is another Colorado Avalanche player who were interviewed by Eurolanche. David, 28, is Canadian right winger who was drafted by the Avalanche organization in the 9th round of 2003 NHL entry draft. After the draft his career in juniors had improved well. He was the finalist for the Hobey Baker Award. In December 2007 he has become the lowest selected Avs draft pick to play in the NHL. He had serious health problems from 2008 and 210, but was finally back for the next two following seasons. In spite of the problems in the past, David was always in the locker room and in the Pepsi Center to watch his teammates on the ice. David is a big part of the team. He signed new contract with the team through the 2015/16 season this summer. Many NHL fans are sad and angry at the current situation. It is still not sure if the season will start on the time or not. 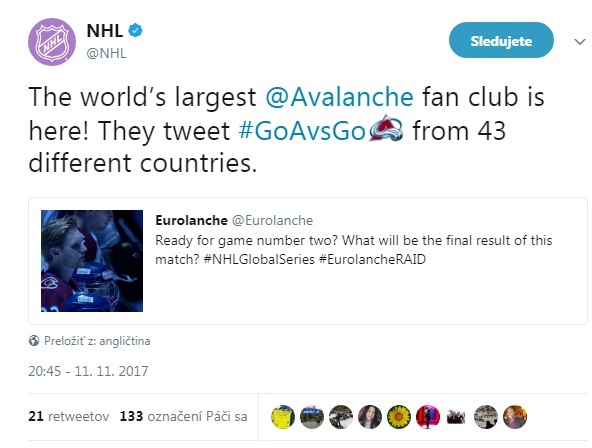 Can you, please, explain us the biggest opinion difference between NHL and NHLPA from the view of NHL player? Where is the main problem? I can say that all the players are hoping for the season to begin on time. From what Gary Bettman has told us, the NHL feels that the players compensation is too high and they feel that the decreased compensation should go to help the league's struggling teams. The players do not believe this is a prudent solution and feel our proposal would prove more beneficial in the long term to stabilize these teams. Can NHLPA make a compromise in all points or is there something what NHLPA does not want to give up in anyway? I am sure there needs to be compromises on both sides, that is the nature of bargaining. Considering the growth of revenues since the last lockout, the players do not feel the onus should be put on us to take such a significant cut in compensation. If the season is canceled, will you stay in minors in North America or you will go to Europe or you will just practice? It depends on the length of the lockout, should there be one. I will be in no rush to leave Denver, since my wife just gave birth to my son. That being said, if a resolution looks bleak, I certainly feel that I will need to play somewhere. I have no reservations about going to Europe so we will have to see how things progress. We are all hoping for a resolution before the season begins. What is you personal opinion: Will season start on time? If not, when? I am hopeful. I have never been apart of a labour negotiation so I cannot speculate. I think you signed very good contract with the Avalanche organization. Was this offer positive surprise for you or it was your aim to get longer contract? It was the first time I have been an unrestricted free agent so it was a different feeling going into the summer. I met with Greg Sherman at the end of the season and was hoping to come back to Colorado. Ultimately, I felt that for my family, security played a large role in where I would go this season. The Avalanche made it an easy decision allowing me to continue my career where it began, in Colorado. If you would be a coach, which two offensive players would you take to your line-up? There are so many great offensive players from which to choose. I think any coach would be crazy not to consider a guy like Crosby or Malkin on their team. Which former teammate will you miss the most after this summer and why? It is always tough to see guys move on, but hopefully we have guys who can jump in and fill those holes. I think the toughest part is losing those guys around the locker room. With the amount of time spent together. You develop a bond and that always takes time to build with new teammates. Do you have some information about possible new contract for Ryan O´Reilly? Will he stay in Denver? I have not heard anything. I certainly hope he comes back, he is a big part of our team and a great teammate. You were drafted almost on the last place in 2003. In spite of that you are now great hockey player in the great team. How did you make it? What is your advice for players who are drafted in the last rounds? Despite being picked that late, I always felt that I had a chance. The fact that Colorado selected me at all showed me that they saw something in me capable of playing in the NHL and I just tried to continue improving and enjoying the game. I think the fact that I was not taken very high allowed me to experience college with less pressure and it was much more enjoyable and easier to grow. What are you hobbies and how you do spend free time in Denver? Well now that I have a new baby, I believe that will take up much of my time. In the offseason, I play a lot of golf, I read a lot. During the season, most of my free time is dedicated to family, but we really don't have much time for anything else during the season. A lot of couch time.